Last week I reported that as part of the Women’s Day celebrations in Bangalore, The Serai Resort and Cafe Coffee Day invited bloggers from Bangalore to a weekend retreat. Tanisha (my beautiful niece pictured on the right), was invited and being her thoughtful, sweet self, she made arrangements for me to join the group. Thank you, Tanisha, for making this unforgettable trip possible! 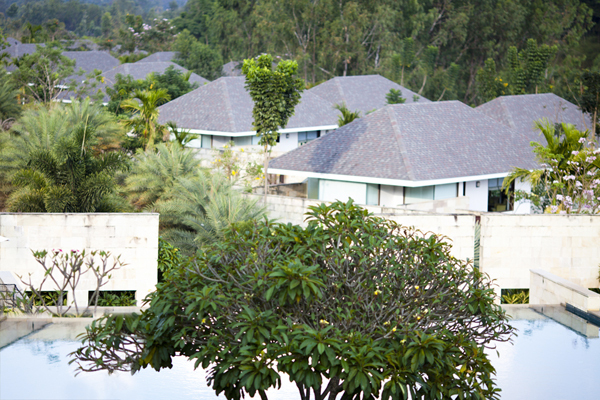 The Serai Resort is tucked away from the hustle and bustle of urban life. It is a luxurious five-star resort that sits in the middle of one of the most beautiful and serene coffee estates in Chikmagalur. It was a five hour drive from Bangalore to the birth place of Indian coffee. 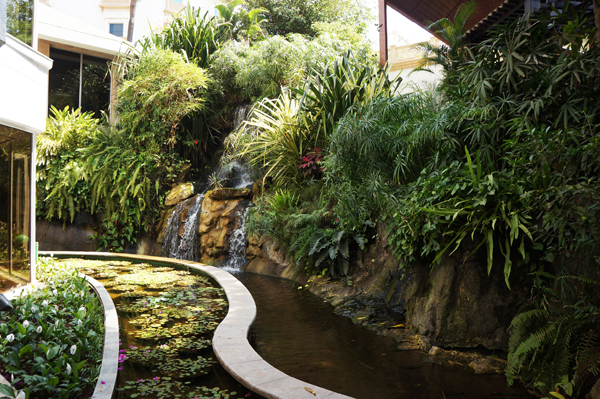 When we reached Serai, we were greeted with garlands of jasmine flowers and cold coffee at the lounge. The view from the lounge was intoxicating. The Western mountains, forests, and towns formed a background to the villa-tops and palm trees close by. 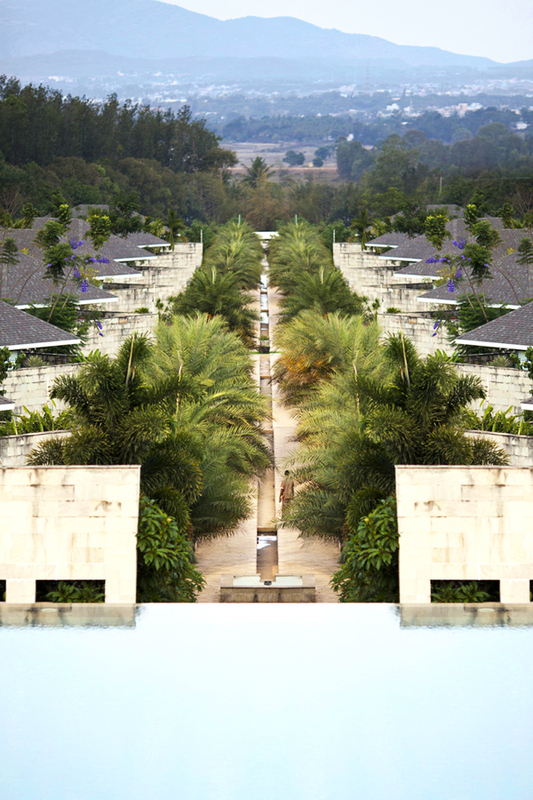 The grounds of the resort were landscaped with shrubs, potted flowers, manicured lawns, and the infinity pool. To the right of the lounge was the restaurant, Odyssey, where we were to have our meals and to the left was Oma Spa. After lunch we were taken to our villa. Tanisha and I shared Villa No.11. It had a low stone wall creating a private abode. 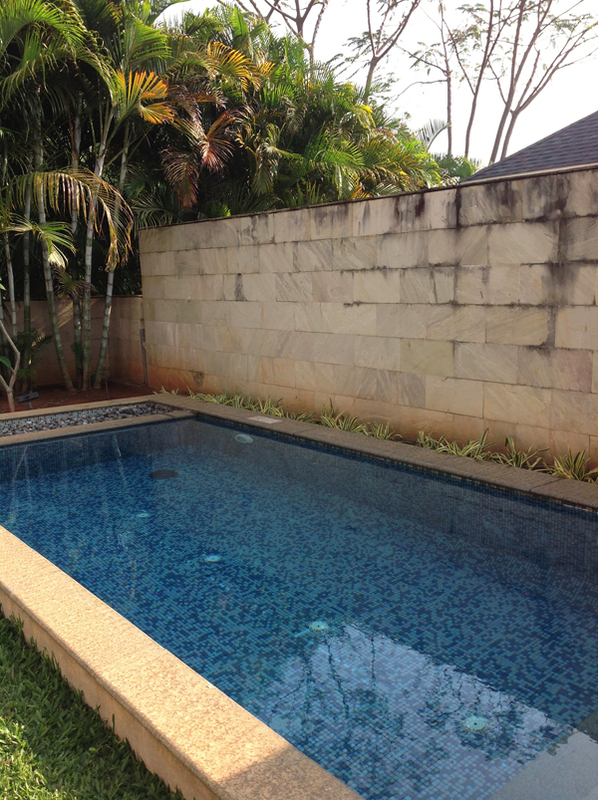 As we walked into the courtyard the first thing we saw was our own pool, gazebo, and a small garden. Our bedroom had high ceilings, rosewood floors, and huge sliding doors that led to a grand bathroom with sunken tub, shower, dual sinks with modern fixtures, and up-scale toiletries. We rested, freshened up, and were taken on a tour of the resort and the facilities. The tour ended with high tea, under a tent on the helipad. We were served petite sandwiches, dry nut biscotti, carrot cake, coffee, and tea. 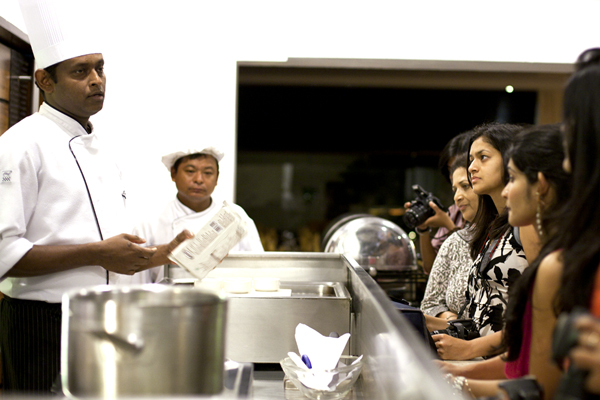 To the delight of the food bloggers in the group, the Executive Chef of the Odyssey, Tony M. Jose, led us through a demonstration of chocolate making. He also showed us how transfers were applied to them giving them a custom-made, professional finish. Each of us were given a sample and, as usual, I ate mine slowly – savoring each bite! 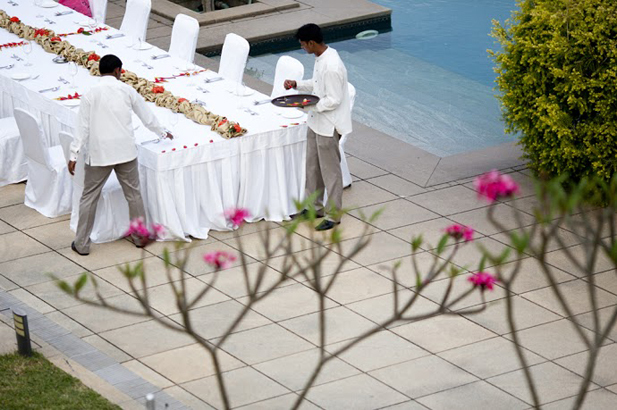 A surprise barbecue and dinner by the pool was planned to complete the evening. The table setting was tastefully done with flowers, candles, and lanterns. The main course was a unique Malnad feast. The dishes were exotic, even to my experienced Indian palate. Upon reading a bit about Malnad cuisine, I found out that many of the ingredients used for these dishes are available locally, in Coorg, and Chikmagalur. Dessert was molten cake and ice cream. It was a lovely end to an impressive day. Breakfast is my favorite meal of the day and I enjoyed the Indian cuisine immensely. 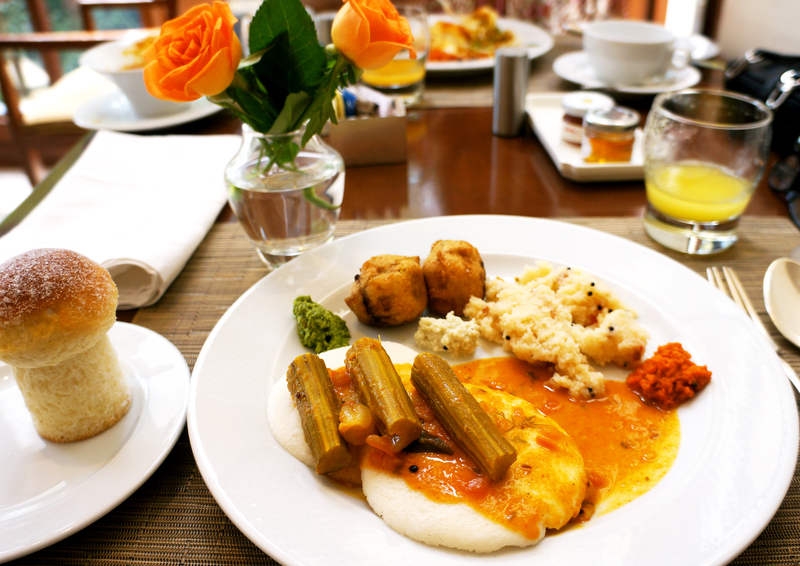 The spread included idlis, dosas, uthappams, omelets, chutneys, and sambar. Every meal we had at the Odyssey was exceptional. A visit to Kudregundi, a 400 acre plantation, was on our agenda for the next day. We were going to have the “bean to cup” coffee experience. 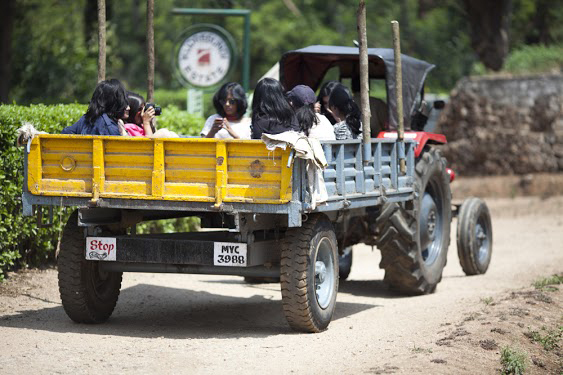 Once we arrived at Kudregundi, I hopped into a comfortable jeep and the younger ladies were loaded in the back of a tractor! I am thankful that I wasn’t in the tractor, because I would have definitely had some broken bones! The girls, nevertheless, had fun as evident by their screams, laughter, stops and starts as we climbed the slopes of the plantation. The view was magnificent – huge, tall trees with pepper vines wrapped around their trunks and luscious coffee plants below. When we got back to the resort from our day trip, we were ready for the premier Oma spa. 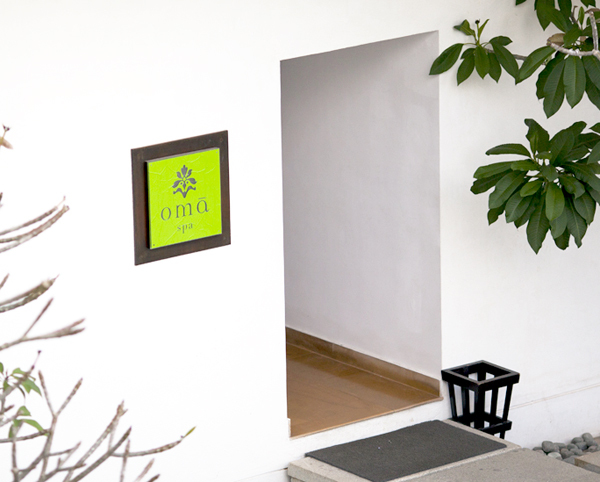 In Sanskrit Oma means ‘life giver.’ We were each offered a one hour treatment, of our choice. Wow! By the end of my session, all I could do was go back to my villa and sleep! I heard that the girls had a great dinner that night with a live singer and guitarist while I was dreaming! Thanks to Faiza, a photographer extraordinaire and blogger, we had a photo shoot and group pictures taken the next morning. We then boarded our bus for the long ride back to reality. My deepest thanks for letting us experience, a bit of heaven on earth, goes to the staff of The Serai Resort and Cafe Coffee Day, and to the organizers: Deepika, Rohita, and Ashvita. To the brilliant, talented, and beautiful ladies, Tanisha, Swapna, Alicia, Imsu, Ankita, Manvi, and Smrithi – it was a pleasure experiencing the trip with you. Your contagious love for life and your passion to achieve your dreams continue to inspire me. To my readers, I invite you to visit their blogs. I am sure you will be as inspired as I am. Click on their names above to visit their awesome food, fashion, photography, travel, and illustrator blogs. My friend’s and my spontaneous decision to spend a vacation together in India was one of the best decisions we ever made for ourselves. If you haven’t tried vacationing with one of your girlfriends, you must. It’s therapeutic, fun, and relaxing. From the start Sherwine and I convinced ourselves that we were deserving of this time together, and we were going to “live it up”. Living it up, for you, might conjure up visions of exotic destinations, luxury hotels, chauffeur driven BMW’s, spas, shopping sprees, and food ventures – I must admit you are right! It was all that and more. 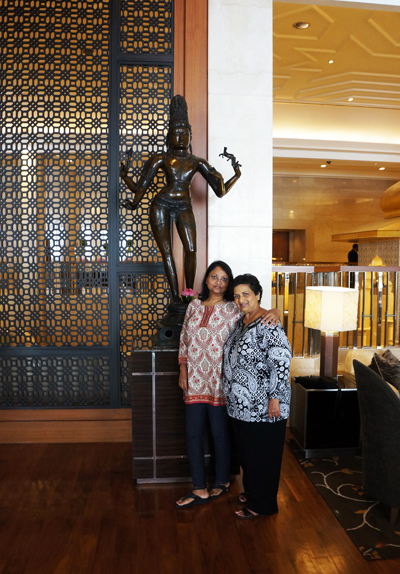 We started our trip in Mumbai, India, at The Leela Hotel. It soon became our home away from home. Our room was luxurious, beautifully designed in earth tones with Indian inspired art on the walls. At the end of our stay the hotel surprised us with two chauffer driven BMW’s to take us to the airport. 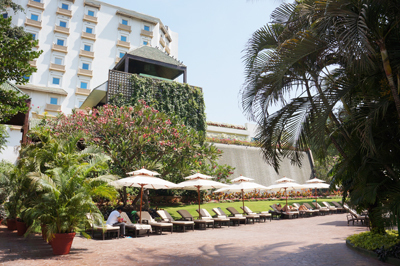 The hotel was surrounded by 11 acres of luscious tall trees, fountains, ornate gardens, winding paths, cascading waterfalls, and an outdoor pool. The hotel lobby had spectacular fresh flower arrangements that welcomed us each morning. 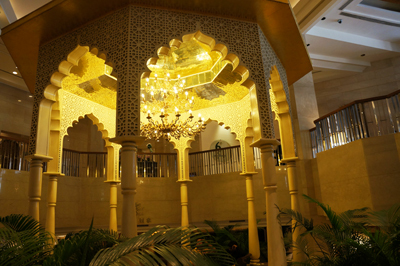 But, the best part, I must confess, were the staff at The Leela. They made our stay enjoyable and comfortable. They were top notch and catered to our needs beyond our expectations. Thank you staff at The Leela for the wonderful time we had in Mumbai. Vacationing with a friend, that had the same food interests and tastes as I did, was an added plus. At breakfast, we often sat near a window that overlooked the beautiful gardens. We had ours breakfasts at Citrus every morning from around 10:00 a.m. to 11:00 a.m. It took us that long to taste all the different offerings at the buffet. We often started with fresh-cut fruits – papaya, honeydew, watermelon, and pineapple. This was a strategy I learned from my dear friend. We then moved on to the more serious of our cravings, Indian food, of course! The buffet had idlis, dosas, vadas, bondas, parathas, pav bhaji, poori-bhaji, upma (with all the accompaniments), and a host of other items like eggs, pancakes, waffles, brioche, doughnuts, pastries etc. 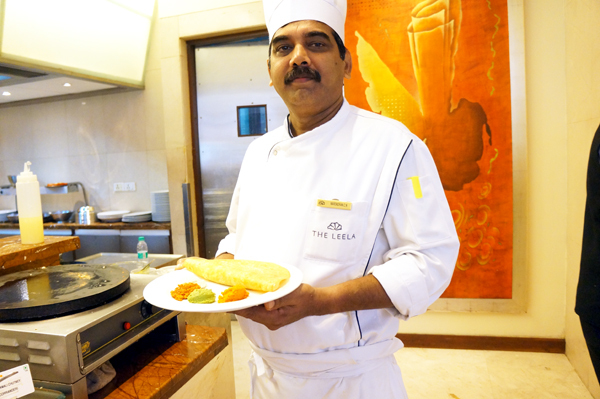 Chef Narendran Nambiar was a master at making perfect dosas. They were a real treat! Masala chai or decaf Nescafe was how I ended breakfast. On some evenings, we had dinner at the restaurants at The Leela. We enjoyed the food at The Great Wall, the Chinese restaurant, Jamavar, the Indian restaurant, and Citrus which offered an international cuisine. 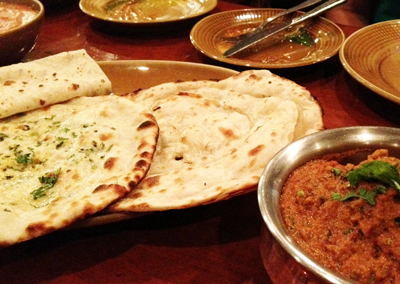 Jamavar was our favorite Indian specialty restaurant and we will definitely dine there again. The Malabar parotas and malai koftas were the best we’ve ever tasted. 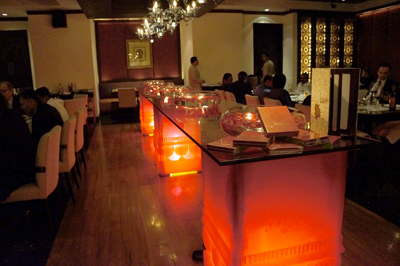 We tried several other restaurants in Mumbai like Flag’s, Status, and Summer Harvest restaurant. They told me that the samosa-chat at Status is famous and I agree. We voted Summer Harvest as one of our favorites. The price was right, the ambiance cozy and the food was unforgettable. Sherwine and I then visited family in Hosur, a town close to Bangalore. Our good friends Selwyn and Usha suggested that we should try the Indo-Chinese lunch buffet at Chutney Chang, and so we did. The restaurant serves 64 dishes from starters to desserts. 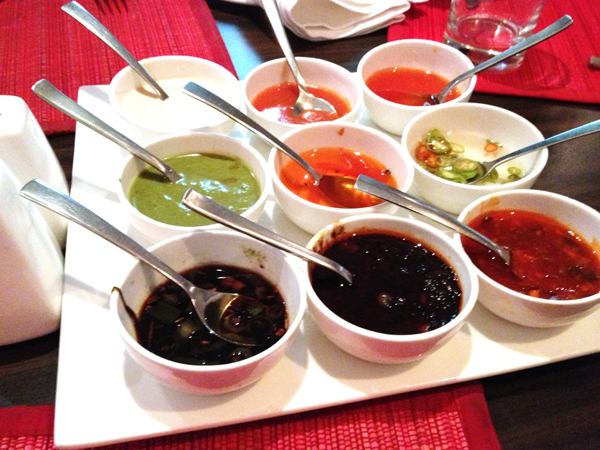 When you are seated, you cannot help but notice the nine tempting chutneys that are on the table. The Indian desserts were excellent and we liked the Horlicks halwa which was rich, dripping with ghee and finger-licking good! The chef was generous to share the recipe with us. The authentic, frontier cuisine of Samarkand, brings me back to this restaurant each time I visit Bangalore. 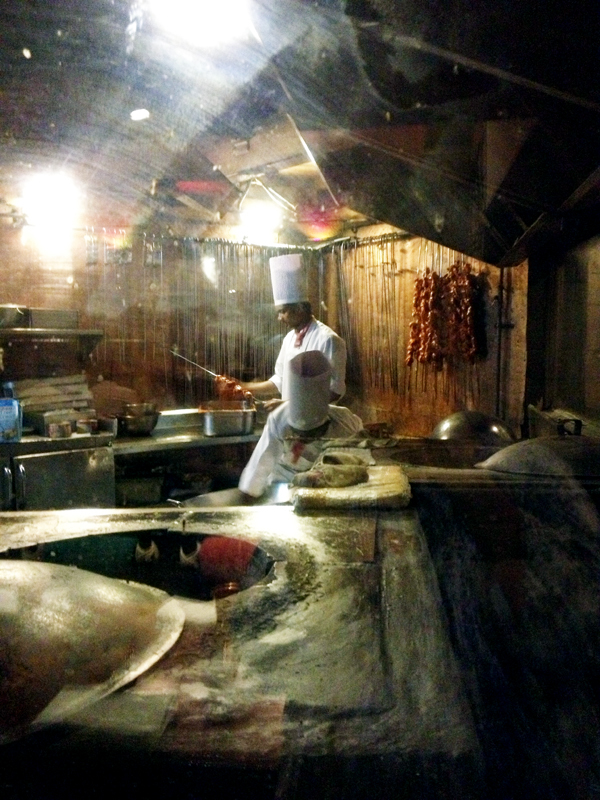 I love watching the chefs through the see-through glass tandoor where they make a range of rotis and kababs. This time, for lunch, we had sabuta chooza, paneer makhani, mirch baigan ka salan, desi dum ka murgh with roomali rotis, naans, kulcas, and all the usual accompaniments. The desi dum ka murgh, a Nizami speciality, was flavorful. Our sweet ending was malai kulfi, the master chef’s specialty. It was creamy, rich, and with just a hint of rose essence. 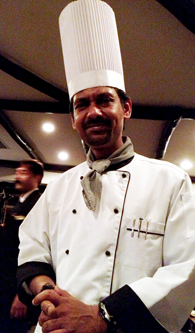 Chef Sujit Kumar Dey and Manager, Akilan, went out of their way to please. Thank you for a great meal. Then, an unexpected turn of events took me to Chikmagalur. 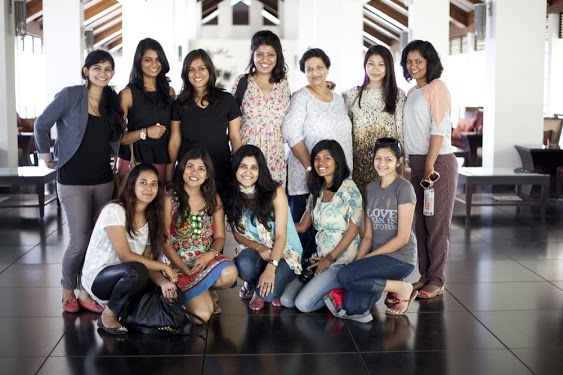 As part of the Women’s Day celebrations in Bangalore,The Serai Resorts and Cafe Coffee Day invited a handful of bloggers from Bangalore to a weekend retreat. Tanisha Christo, who was invited, asked the organizers if I could attend, and they readily agreed. My experience at this breathtaking, posh, sanctuary is noteworthy! Read all about it in my next blog.